Hi there, im trying to export a photo on AP to my photos, when i click export - share - save image, the app crashes. Tried multiple times, could you kindly assist? thank you. Check iPad settings. Scroll down to the Affinity Photo app and check permissions are set to read and Write. Hi there, photos are set to Read and Write. 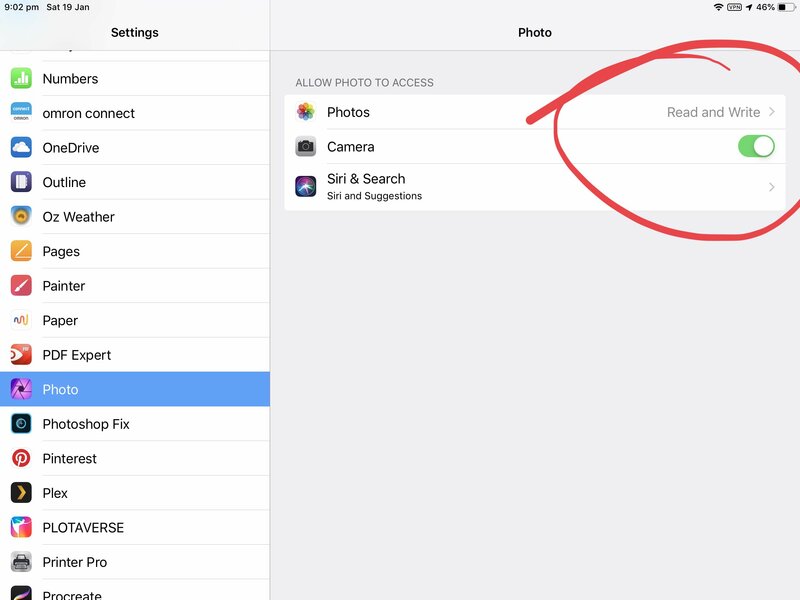 Can you export the file to iCloud or another location on your iPad? JPEG. able to export to icloud(documents) but unable to save direct to photos on ipad. This certainly sounds like a 'permissions' issue. Do the﻿﻿ follo﻿wing: run the Affinity Photo, click the plus icon in the Welcome Screen and select Import from Photos. If there is a issues, Affinity should ask for permission to access your photos l﻿ibrary. Click OK to give it permission.